This will increase volume in the tank causing the "low-tide" to rise into "high tide" due to the extra volume of the weight inside the tank. 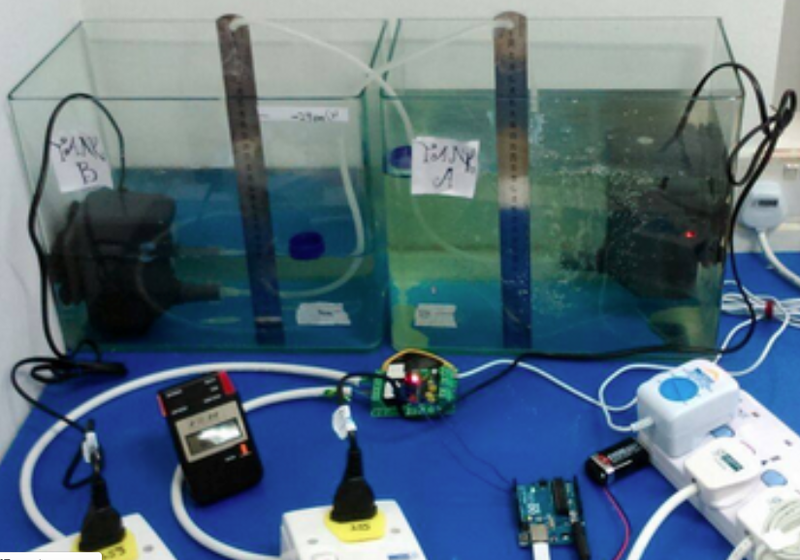 Fill both tank with water, Let x be the water pool and y be the tidal simulator tank. Position a pump, which allowing water to be pumped from y to x. -Start of with y having lesser water than x in a ration of 1:3. -Once both water levels are equal, y is considered to be "high tide".